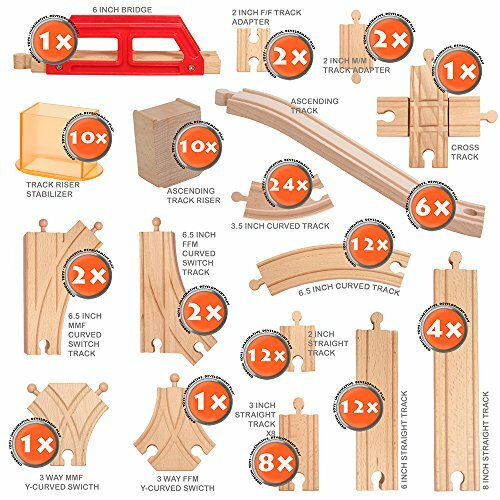 A Great Collection of Wooden Train Tracks by Orbrium Toys. 110 pieces in total. 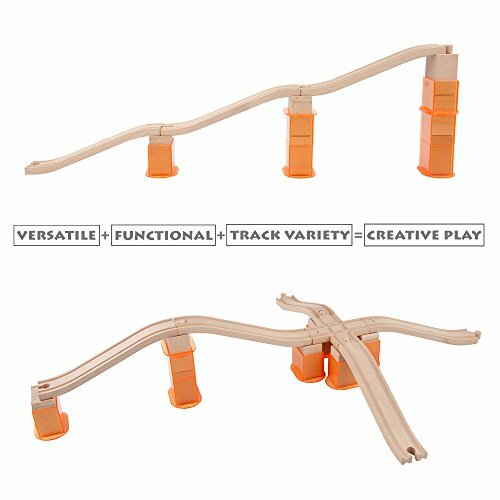 Includes multiple switch tracks, elevated pieces, and also a 6" bridge!! 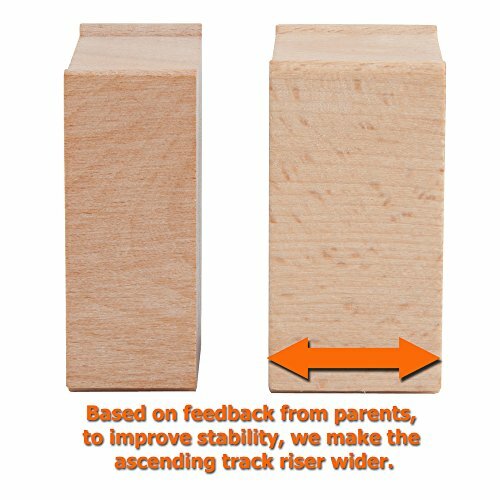 Ready for you to expand and build your multi-level layout out of the box!! Complete set consists of: 1x 6" Bridge, 1x MMF Y-Curved Switch Track, 1x FFM Y-Curved Switch Track, 2x MMF Long Curved Switch Tracks, 2x FFM Long Curved Switch Tracks, 1x Cross Track, 2x 2" Male-Male Adapters, 2x 2" Female-Female Adapters, 10x Ascending Track Risers, 6x Ascending Tracks, 12x 2" Straight Tracks, 8x 3" Straight Tracks, 12x 6" Straight Tracks, 4x 8" Straight Tracks, 24x 3.5" Curved Tracks, 12x 6.5" Curved Tracks, and 10x Stackable Track Riser Stabilizers.